WILLEMSTAD - With a fresh perspective, new name, new office building, great team of attorneys, the well-known attorney Mirto F. Murray started the self-named practice: Murray Attorneys at Law. The firm focuses on showing its commitment action-based rather than with exhaustive words. 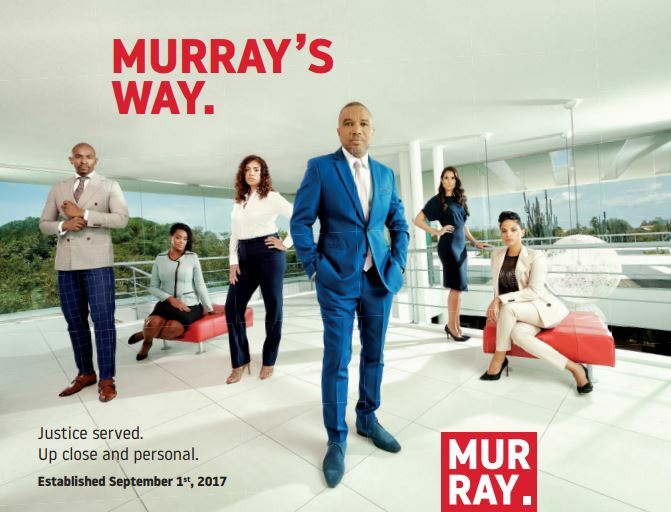 As from September 1st, 2017 the boutique-style practice Murray Attorneys at Law started its operations from the Dr. Henri Fergusonweg 6 in Curaçao, serving its clients in Curaçao, the rest of the Dutch Caribbean, Suriname, the Netherlands, the United States and China. “We looked at what works best for our clients and discovered that our practice should reflect an ultra personalized, to-the-point, exclusive, straight forward and cost effective law advise and where needed court proceedings. I was inspired to design a new style law practice where knowledgeable attorneys choose to work together with zealous commitment to follow-through with our clients, rather than only for the clients. As such, probably against all rules of marketing, we even dare to sell ‘no’ to our clients. If we are not able to give over 100 percent attention to a client, we rather say no and not accept the case.” “We also say no to faxes! As a modern electronic utilized law firm we don’t have a fax machine either!” Mirto adds smiling. Our attorneys are proficient in corporate and commercial law, banking and finance law, labor law, criminal law but also in the relative new area of law: entertainment and media law. We are: Mirto F. Murray, Roangelo Lodewijks, Sucena Hortencia, Didi Wildeman, Sabine Anthonio, Melissa Vasquez. Our office assistants are our backbone who make sure the show goes on. We believe in creating a straightforward approach to practicing law and see going above and beyond as the new normal rather than the exceptional.